Beachfront studio unit with amazing ocean views. Completely remodeled with new furniture, cabinets, appliances, countertops and tile. Sit and relax on the balcony overlooking the beach and watch the spectacular sunsets. 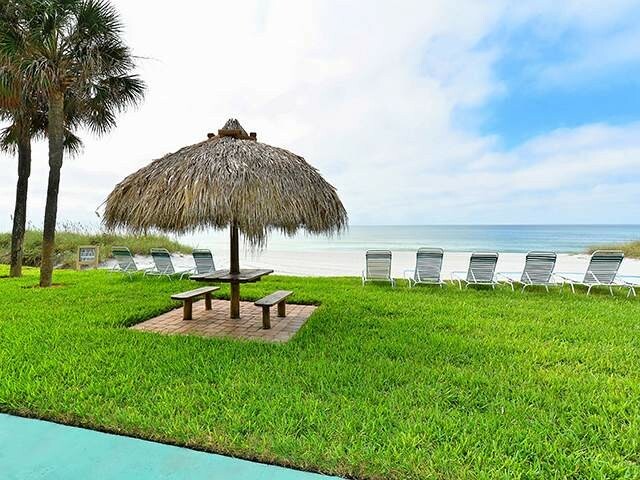 Fully tiled throughout, two queen size beds and the beach is just steps out your back door.